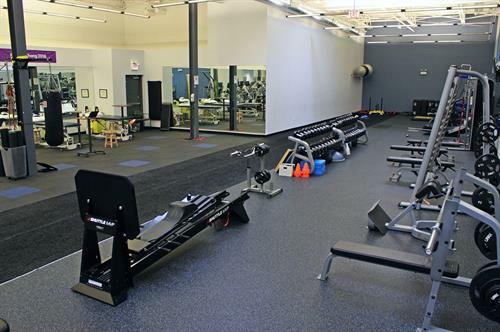 We are a physical therapy and personal training facility with a focus on creating an atmosphere which allows clients to achieve their most optimal health status. 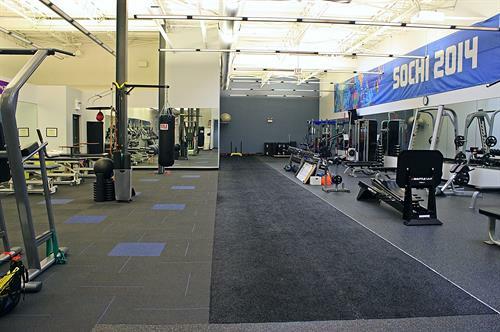 Our location demonstrates the importance of your goals and our commitment to excellence: 4500 square feet with top of the line fitness and sports performance equipment. It's an elite gym that trains dedicated high school, collegiate, professional and olympic athletes as well as working moms and dads. We offer a bridge program for those athletes looking to take their game to the next level. 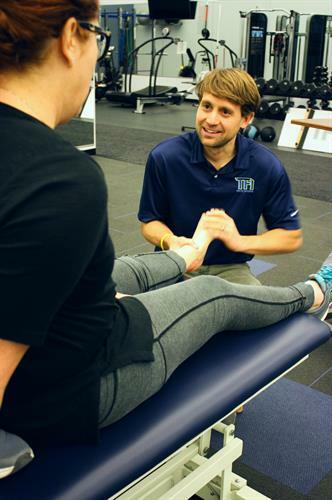 The program is run by a licensed physical therapist and focuses on proper mechanics, running, jumping, cutting and landing to ensure safe and successful return to sport specific activities. We will also partner with medical professionals such as primary care physicians, sports medicine specialists, local chiropractors, sports psychologists and nutritionists. We feel we can provide cutting edge therapy that will not only help the aspiring athlete, but every patient who is willing to embark on this innovate approach to therapy. Parking located on the east side of the building.